Even though it was preceded by the Wine Country Market, the Wine Country Trattoria restaurant in California Adventure is a venue that seems like it has been there since opening day. The theming of the restaurant is among the handful of ideas from DCA 1.0 that were solid enough to remain in today’s DCA. 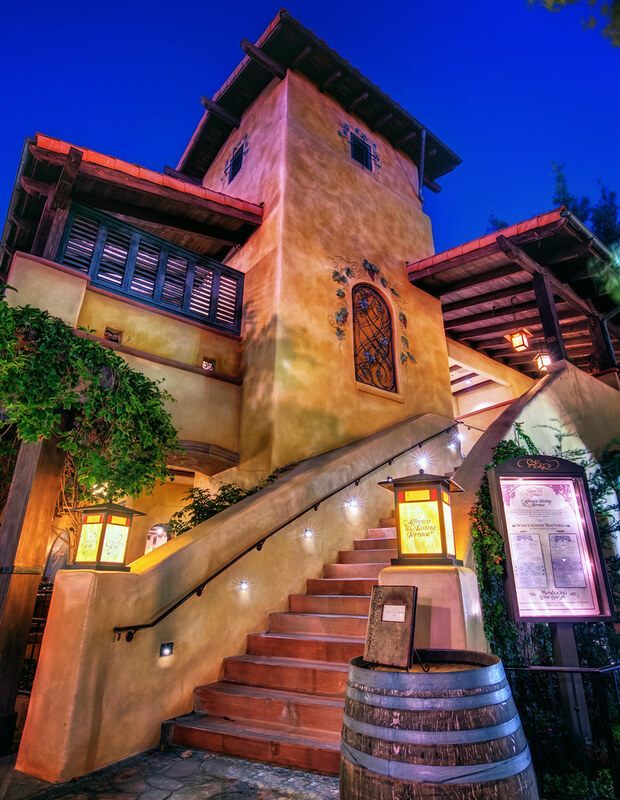 This entry was posted in Pacific Wharf and tagged HDR, Napa valley, night, restaurant, Wine Country, winery. Bookmark the permalink.